Stan Laurel and Oliver Hardy are one of the world's greatest comedy teams. But by 1953 their golden era in Hollywood is over. Determined to reignite their film careers, Stan & Ollie set out on a variety hall tour of Britain. The tour becomes a hit, but decisions made over a decade ago strain their friendship. When Ollie reveals his failing health, the two have to face their past. The tour is now something more: a possible swan song where Stan and Ollie rediscover their close and genuine friendship. 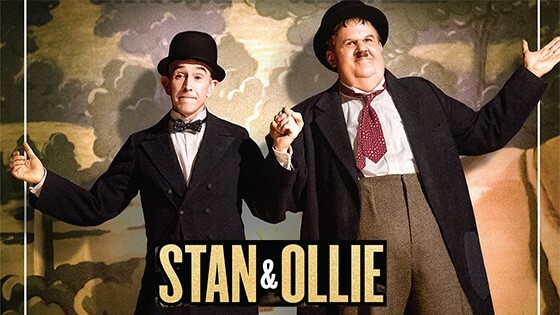 A biopic that's bringing smiles to the faces of even the most jaded critics, Stan & Ollie is a heartwarming adventure propelled by immense talent and lasting friendship.